On this page you will find statements and opinions by members of Rights in Russia's Advisory Council (Russia). 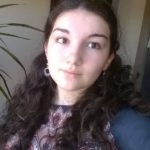 Natalya Taubina: "The 'foreign agent' label is a kind of seal of quality"
On 16 February 2019, Public Verdict Foundation, an NGO that defends victims of police violence, turned 15. On 18 February, the former head of Prison Colony No. 1, upon whose order convicted offenders were brutally tortured, was detained. This detention, like the opening of the criminal case against prison officers involved in the torture, was obtained thanks to the lawyers of Public Verdict. The Foundation’s head, Natalya Taubina, talks about the organization’s mission, how to eradicate torture in prisons, and how to create a mighty human rights organization in 15 years, starting from scratch. Tell me, how did you come to human rights defence? It was in 1992. I was still studying at MIFI [Moscow Engineering Physics Institute]. My specialization was databases, cybernetics, and my research advisor suggested I get to know the Civil Forum and create a database for them on refugees and migrants. In 1992, a major wave of refugees was flooding into Russia from Central Asia, and Lidia Ivanovna Grafova published a notice in Literaturnaya gazeta asking those who had come to Russia to fill out a form and indicate their requirements and what help they needed. Grafova received hundreds of forms, which had to be processed somehow, so I wrote a database for her that was called “Bigrafor.” At the time, in 1992, I met many colleagues from the Centre for Human Rights and realized I found this very interesting. As it happened, once I graduated from the institute, I didn’t work a single day in my specialty as an engineer-mathematician. I came to the Centre for Human Rights. At first as an assistant, a kind of project coordinator. But in 1994, an initiative arose at the Centre to create a Foundation for a Civil Society, which would help human rights organizations working in the regions. In 1997, I became director of this foundation, where I worked, basically, until I moved to Public Verdict. One of the programmes of the Foundation for a Civil Society was, in fact, activity aimed at, let’s put it this way, using international instruments, international agreements in the area of economic rights, and using them more effectively in our country. How was the idea of Public Verdict born? The idea was the brainchild of Mikhail Borisovich Khodorkovsky. I don’t know whether it was Khodorkovsky himself or in discussion with colleagues, but in the spring of 2003 he proposed creating an organization to help the victims of illegal actions taken by employees of law enforcement agencies. This idea immediately gained support in the human rights sector, inasmuch as several times after the first Civil Forum in the sector they had discussed the necessity of having an all-Russia foundation to support work throughout the country on cases involving human rights violations. The Foundation’s founders were, on the one hand, Open Russia, and, on the other, the Moscow Helsinki Group and the International Memorial Society Memorial. Among the cofounders were two foundations that no longer exist: the Yakovlev International Democracy Fund and the Russian Regions Fund. So Public Verdict was created literally on the eve of Khodorkovsky’s arrest? Yes, he was imprisoned in October 2003. And we managed in July, I think, to meet and discuss just a little what kind of organization this might be. After Khodorkovsky’s arrest, I spent the entire fall of 2003 in discussions with various people. And I think our organization is one of the few in whose creation Liudmila Alekseeva, Arseny Roginsky, Sergei Kovalev, Yury Shmidt, and Tamara Morshchakova all took part in together. In February 2004, the Foundation was registered. That is, they are essentially the founders of Public Verdict? Essentially, yes, it turns out that these are the people who came up with what kind of organization it should be. And in February 2004 we were registered. You have managed to accomplish a great deal in these 15 years. From a small, not very influential organization compared to the major “pillars” of human rights defence, to turn into one of the leading ones that everyone has heard of. What is the secret of your success? Over the course of several years, we took measurements every month, showed the dynamic, and calculated how much attitudes in society were changing toward the problem of law enforcement agency excesses. This was a fairly serious and very important instrument, above all for the discussion with society. As we saw the results of this research and worked on cases, we became convinced that the problems were systemic. You could change the regions and the victims’ names, but the further details of what happened would bear a very strong similarity, like twin brothers. In order to pose the question of the necessity for changes, you need convincing, substantive research and not just scream that everything in the country is bad and has to be changed. Therefore, probably beginning in 2005, or maybe 2006, we saw a new objective of developing a serious research direction. That is, today we are one of the few to research modern law enforcement agencies rather intensively, but specifically from the standpoint of human rights. We study to what degree human rights guarantees are observed in those agencies’ daily activities. What did you call it? Vigilante? Vigilante activism, yes. This is a Western European term. Vigilantes are essentially groups of people who take law enforcement upon themselves. Accordingly, within the framework of this project, we are monitoring, on the one hand, all this vigilante activism in our country and watching how it changes. Unfortunately, the trend is fairly dispiriting and alarming inasmuch as this activity is spreading, and fairly often these groups, in carrying out some oversight activity, take law enforcement into their own hands and in so doing also use violence against citizens. We see that in this type of situation, they are not accountable in the same way the police are. Accordingly, the second objective of our project is to construct legal instruments that would allow them to be prosecuted in a way comparable to what would happen to an official in a similar situation. Public Verdict was declared a foreign agent. How are you dealing with that? We were among the first ten to be declared foreign agents. The Justice Ministry put us on the register in July 2014. Since then we have not, as a matter of fact, experienced a reduction in the number of people turning to us. Once a person who had been a victim came to us and the conversation came around to the topic of “foreign agents.” He made a wonderful comment that I have always remembered. “Well, who else but foreign agents can give high-quality help in this country?” Even before that, I had joked that the “foreign agent” label is a kind of “seal of quality.” So, if they put you on the register, that means you are doing everything right. It turns out that people who turn to us think that, if we are “foreign agents,” if the authorities do not, let’s say, love us, that means we truly do help people. Undoubtedly our work involving communication with the authorities has become more complicated. For example, if at the beginning, in 2009-11, we conducted training in the regions for the Investigative Committee on how to effectively investigate allegations of torture and how to use international standards of effective investigation, when the whole story of “foreign agents” began in 2013 - even before we were listed on the register - we began to regularly get refusals in the regions. We had a programme that was aimed at developing cooperation with penitentiary administrations. I think it was in 2011, after the pilot judgment of the European Court of Human Rights (ECtHR) in Ananyev and Others v. Russia regarding, in particular, incarceration conditions. We wanted to understand to what degree incarceration conditions corresponded to what was in the pilot judgment of the European Court. We thus met with several regional administrations for discussions, and they rated the monitoring methodology we had developed rather highly. I even remember how the head of the Federal Penitentiary Service in, I think, the Komi Republic, appeared at the federal collegium of the Penitentiary Service and cited our monitoring methodology as an example of how to assess incarceration conditions - how to immediately see where there are deficiencies, where something doesn’t correspond to the ECtHR judgment and what the pilot judgment prescribed. It was impossible to do all of this with “foreign agents.” Generally speaking, the only communication channels remaining today are the office of the Federal Ombudsman for Human Rights and the Presidential Council on Human Rights. And why aren’t you on the Presidential Council? You are one of the few leaders of a human rights organization who isn’t. You should ask Mikhail Alexandrovich Fedotov that question. Did they not ask you? No. Well, at a minimum, this year and last year showed that we can work perfectly well without being members of the Presidential Council on Human Rights. Analyzing the public statements of our colleagues who are members of the Presidential Council, you can conclude that the Presidential Council provides a kind of safety net for the organization itself and its employees, especially if they work in difficult regions. On the other hand it makes it possible to participate in the defence of specific cases. But it seems to me that in both instances it shows it isn’t necessary to be on the Presidential Council to help with specific cases. The case of torture in the Yaroslavl prison colonies shows that you don’t need to be a member of the Presidential Council in order to get a criminal case opened. Has your organisation counted how many people you have managed to help in the last 15 years? Well, of course, we do some calculations every year. And we always talk about how many people we helped over the year. Of course, there can’t be hundreds of cases, there are never enough of us for that; an organisation with 22 people in total, of whom seven are lawyers, including two lawyers who are not employees of the organisation but work with us practically day and night. If we’re talking about numbers, then each year we’re approached by around 300-400 people. Of course, at the same time, since we prepare reports, we produce various analytical assessments; and here there’s already wider coverage, some tens of thousands of people. Since 2007 we have been conducting a programme of psychological rehabilitation for victims of torture. Thus, each year 20-21 people go through the course of psychological rehabilitation, whether they are victims themselves, or their relatives. Sometimes it’s through family therapy, that is, where a psychologist works with both the victim and their close family and friends. In 2018, we took on 153 cases. Since 2012, when the mass protests began, on both sides, and particularly after Bolotnaya Square, activists and participants in public events have come under pressure, and moreover, pressure has been put on organisations in connection with the “foreign agents” law or, a bit more recently, in relation to the law on undesirable organisations. We have been pushed in the direction of defending freedoms. For the past year and a half, already, our legal department has been split into two separate departments: one is works on protection of rights, the other on protection of freedoms. And when I say 150 cases, that’s referring to the work of these two departments. If we look at the statistics on the results of our work, then probably, and this is a very rough estimate, in an average year, 5-10% of cases on rights protections end with sentences where law enforcement officers are held accountable. That is, 5-7 sentences per year, on average. Some years there are more sentences, and some years fewer. In 15 years of our work, more than 150 law enforcement officers have been brought to justice. Two thirds of them received actual custodial sentences. Periodically, we’ve faced situations where the courts have tried to declare the work of our lawyers void on the basis that they cooperate with “foreign agents.” It is clear the attempt has no basis in law. But, nevertheless, there have been press publications which state that Public Verdict is a foreign agent working with Western money etc. There have been no direct threats of harassment or, God forbid, of physical violence against employees as yet, but in several cases, particularly in the south, in Krasnodar region, there were cases where lawyers were under surveillance and so we took measures to minimise the risks. But 2018 has, of course, become rather critical from the point of view of threats. There were threats against the lawyer Ira Biryukova, as a result of which we had to evacuate her from the country for two months, as well as threats she continues to receive. In various groups on VKontakte and elsewhere they are trying to tarnish our good name, mixing it with dirt, calling us spies, agents and mercenaries, all for their own PR. It’s the old traditional thing. 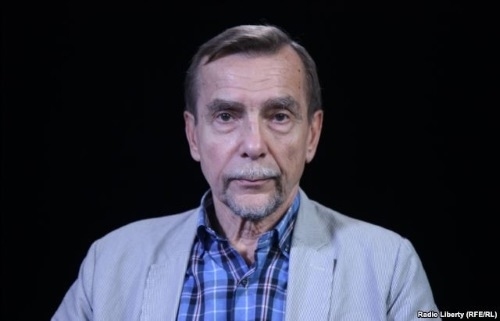 After the publication of the video from the Yaroslavl colony, which Public Verdict Foundation sent to Novaya Gazeta, a criminal investigation began, and the former head of the colony has been arrested. He gave the order to torture at least one of the prisoners. You founded a coalition of various human rights organizations to fight against torture in the penitentiary system. What needs to be done in order to end torture in colonies and prisons? I assume that ending it is possible. As a minimum, international experience shows that it’s possible to fight torture. It’s difficult, and some individual occurrences will still occur, but it’s possible to get to the point where torture stops being such a widespread practice and a behavioural norm. For that, a number of things have to happen. The fact that torture happens in the penitentiaries – that’s not just a problem of the Federal Prison Service. To the same degree it’s a problem of the investigation committee, the judiciary, the medics. And therefore, in our coalition Without Torture, which in the first place fights against torture in penitentiary institutions, we stress the fact that an effective government instrument for the fight against torture is absolutely necessary for the country. For that, it’s necessary to have good investigations, it’s necessary to have high-quality documentation of incidents, it’s necessary to have oversight, both institutional and effective citizen oversight, it’s necessary to have preventive measures. And when all this together has been realized, we can expect that the practice of torture will at least decrease, and in the long term could reach zero. That is, it seems to me that even if we imagine that beginning tomorrow detectives will start to fully investigate all incidents and hold all penitentiary workers to account, they will come up against enormous difficulties. Medics still document everything extremely badly, so even with goodwill and willingness there won’t be enough objective information for investigators to bring to justice all unscrupulous staff. What did it take for there to be a breakthrough in the Yaroslavl story and for a criminal investigation to be opened? For an entire year, we couldn’t make it happen. A video recording appeared, and that was simply undeniable proof. And if there hadn’t been that video recording, there wouldn’t have been a criminal case or the arrest of the officers? I fear that none of that would have happened. Over the course of a year we received refusals to open a criminal case, and we didn’t have an argument, like a recording, after which nothing remained to the detective but to open a torture case. That is, it means it was luck? But luck isn’t simple: in addition, people trusted your lawyer, Irina Biryukova. Yes, of course it’s the result of trust, it’s the result of our work in that specific colony from the beginning of 2017. If we’re going to talk about reform, about how and what needs to change, then of course it’s necessary that video recording is introduced. It has been introduced now. But if you read the testimony that the arrested prison officers in the Yaroslavl prison colony gave, and after there were the allegations about torture in prison colonies in Omsk, then it’s clear that in all of them video recordings were being made, and there were no violations. Yes, video recordings work, but they don’t work to prevent torture, the staff at the prison colony use them for their own administrative bureaucratic goals: in Yaroslavl Prison Colony No. 1, for example, they recorded torture on that recording device, because they had to report to their bosses how they had conducted educational work with the prisoner Evgeny Makarov. But if we put these video recorders to work to prevent torture, if we remove the Federal Prison Service’s current monopoly on holding the recordings, if doctors start to record traumas conscientiously and properly, and not how they do it now at the Yaroslavl colony, examining the prisoners through the bars, if our public oversight system becomes something much better than what we have now… then the situation will start to change. You have in mind the members of Public Oversight Commissions (POCs) who cooperate with the authorities? The members of the POCs are one of the elements. I, in general, am not on the side of, and am closer to opposing, the limiting of public oversight to what is provided for by the law on public oversight commissions. I’m convinced that today public oversight takes many forms, it should be much wider than just the POC. More than that, it seems to me that in authoritarian regimes, legislative regulatory public oversight will end in the same way that we have now with the POC. Who should have oversight of prisons? Civilian activists, staff and volunteers from human rights organizations. You believe that they should also be allowed into prison colonies and remand centres? Yes, until 2008 I, for example, was allowed to enter prison colonies. How — by making a request? That is, you want members of NGOs to be allowed into prisons? Yes, members of NGOs. Public oversight is not just that moment of visiting. It can be modern technology, we live in the 21st century. Today, for example, we get information from the prison colony without visiting it, and then we can pass on this information we’ve received, for example, to the human rights ombudsman in Yaroslavl region, and they go to the prison colony to investigate. You have in mind reports by relatives? Reports by relatives, by the prisoners themselves, visits of lawyers on other business who can get information from other prisoners. That is, there can be many different means, and it’s not simply those visits by the public oversight commissions that are provided for by law. It turns out that in our country today, what is usually meant when you are talking about public oversight is just the public oversight commissions which, unfortunately, in the majority of regions are in crisis. You’ve been working with officials from law enforcement agencies for so many years now, interacting with them in one way or another. How, in your view, can the prestige of the law enforcement profession be enhanced? Good question. It seems to me, that currently, to a large degree, the violations and crimes committed by law enforcement officials - be they prison officers or police officials – often happen because one encounters sadists, with a predisposition to violence, working within these institutions. Furthermore, such actions occur because of the way in which the internal governance systems are organised. Hence if you decide to work within such a system, you have few survival options within it that don’t entail resorting to violence. Thus, in order for the situation to change, the governance system needs to change first – starting from the top. You often here the question, asked in relation to the prison environment: “What more can be done to tackle these repeat offenders?” Crime happens everywhere. Repeat offenders and serial killers can be found in all countries. Yet in other countries these criminals are dealt with in ways that don’t involve use of violence, or tactics designed to humiliate! We need to draw on this experience. We need to engineer the system in such a way as to ensure that it is not premised on oppression. Yet in our country, the prison system is designed to repress the individual once they enter the system. To turn people into putty so you can make them into whatever you want. If this inherently oppressive approach was done away with and, instead, detainees were treated like human beings, a lot would change. But for this to happen the status quo needs to change starting at the very top of these institutions. The last question is a more personal one. I know you have a son growing up. How does he feel about your work? Does he know you help people who have been tortured? Do you bring your work home? No, it’s not something I discuss with him, as you can imagine. He is of course fully aware that I work for a human rights organisation. He probably isn’t 100% sure about what that entails, but he knows that we help people, that there are good and bad police officers – you get the idea. My task is to get him and others to see that things aren’t ever that black and white and that not all law enforcement officers are criminals and people to be feared, that there are without doubt decent, reputable people working within the system. Our task is to make the system as good as it can be. Insofar as they are institutions, called upon to maintain order, to protect us. But of course, there are bad people, who do commit offenses. It’s these offenses we aim to combat. Our task is to ensure that these people are held accountable for their actions. My son gets that. I believe he respects it. Of course, he doesn’t like that I’m away a lot. While other people’s mothers are at home, his own is often unfortunately on the road. Imagine one day we get to a point where Public Verdict becomes obsolete. What would you do then? One can certainly dream. But unfortunately, I think we’ve got a long way to go yet. But if a miracle were to happen, if the kinds of violations we are fighting against one day become a thing of the past, then perhaps I’d go into school teaching. Why does one encounter so many science and maths buffs amongst human rights defenders? Take Svetlana Gannushkina, for example, she is a mathematician, Oleg Orlov is a biologist, or Sergei Kovalev who is a biophysicist. How does this knowledge come in handy in the human rights field? It’s essential for almost any line of work. If you do research, you always need a strategy, and strategies require flow diagrams. So, your former specialty helps you in your current role? Yes. The fact that the organisation, which at its inception 15 years ago consisted of just three people, has now transformed into something quite big – with a domestic and international reputation - I think speaks to the fact that this approach – one that draws on my maths background - works. Liudmila Mikhailovna Alekseeva has died. My heart aches. The entire context of our life is so grievous. And this death seems like the result of that context, although to die at age 91 is natural, of course. Liudmila Mikhailovna and I did not cross paths during the Soviet era, although we knew many of the same human rights activists. I was not a member of MHG [Moscow Helsinki Group], which was created in May 1976, although after the arrest of three of its founders--Yuri Orlov, Aleksandr Ginzburg, and Anatoly (now Natan) Shcharansky--I wrote an open statement in their defense, “Eurocommunism and Human Rights,” which brought out each voice. The idea of rallying Western ideological allies of the Soviet party apparatus to the defense of human rights in the USSR was not mine; it was in the air at the time and was applied very effectively. 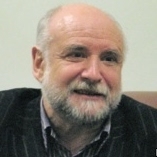 Even the French Communist Party spoke out in defense of Shcharansky, who was threatened with execution, thereby, to all appearances, saving his life. Interesting and perhaps even paradoxical is the modern continuation of those long distant cases. I’m thinking of the three-hour dinner tête-a-tête in the Kremlin in early September 2000 between Russian President Vladimir Putin and then Israeli Interior Minister Natan Shcharansky, the continuation of which, one might assume, was the historic visit to Moscow in January 2001 by Israeli President Moshe Katsav and the agreement reached between Russian and Israel to collaborate in the fight against international terrorism. I met Liudmila Mikhailovna after her return from emigration in 1993. In 1996, she became chair of the reconstituted MHG—after Larisa Bogoraz (former MHG chair, 1989-1994) and Kronid Liubarsky (MHG chair, in 1994-1996), who died tragically in Indonesia on 23 May 1996. There is so much to remember here. I will say only that after every MHG meeting in which Liudmila Mikhailovna participated, in recent years in her home, one was always left with a joyous feeling. “It’s not night yet,” as Vysotsky put it—naturally, thanks to her unfailing positive mood. Now I will tell the story of what was probably the gayest MHG meeting ever, in January 2013. This was a special meeting which Liudmila Mikhailovna convened for one sole reason: for us to decide whether to keep her on as MHG chair or replace her with someone else—as required by the notorious “Dima Yakovlev law” of 28 December 2012, No. 272-F3. Part 2, article 2 of that law says: “A citizen of the Russian Federation who holds citizenship of the United States of America cannot be a member or leader of a nongovernmental organization.” There is the assumption that the law was written to target Liudmila Mikhailovna Alekseeva, who, upon restoring her Russian citizenship in 1993, retained the US citizenship she had acquired in emigration. According to the MHG charter, Liudmila Alekseeva herself could not decide the question of her chairmanship herself, the decision about the group’s chair, again according to the charter, being the prerogative of the group’s general assembly. Now Liudmila Mikhailovna had assembled us to decide this question. I repeat, we were very gay, as was Liudmila Mikhailovna. Of course, we heard the obvious argument that the “Dima Yakovlev law” contradicts the Russian Constitution (as was stated by the Presidential Human Rights Council on 26 December 2012, that is, before the final vote on this law in the State Duma). I remembered a joke told by some masters of ceremonies back in Stalin’s time that for some reason I’d remembered since I was a child: “The English have sent us a sealed ultimatum: we stitched up the ulti and we’re going to answer them with the matum.” That’s approximately how we unanimously replied to the authors to the “Law of Scoundrels.” Liudmila Mikhailovna Alekseeva did remain MHG chair until that terrible day this year, 8 December. Liudmila Mikhailovna Alekseeva has died. My heart aches. The entire context of our life is so grievous. And this death seems like the result of that context, although to die at age 91 is natural, of course. Nonetheless, thinking about Lev Ponomarev and everything else, it seems to me that LM was tired of living and fighting with no result. It all came before me, I am not responsible. I write no laws, crown no man’s head. That a noose looks good on an unbowed neck. The idea wasn’t mine, nor is the fault. That dungeon belly is forever hungry. To answer for those murdered. For everyone without a roof. в день её юбилея 20 июля 2017 г.
Все было до меня, и я не отвечаю. Законов не пишу. На царство не венчаю. 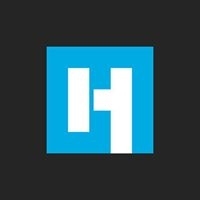 Что хороша петля на непокорной вые. Что вечно не сыта утроба каземата. Liudmila Mikhailovna Alekseeva passed away on 8 December. One can’t help but recall her comrades-in-arms who also left this life in December, pioneers of the Moscow Helsinki Group (MHG), which was created on 12 May 1976, at the suggestion of Yury Fedorovich Orlov: on 8 December 1986, Anatoly Tikhonovich Marchenko perished in Chistopol prison; on 5 December 1989, the marvelous Sofia Vasilievna Kallistratova, an attorney, left this life; and on 14 December also 1989 Andrei Dmitrievich Sakharov passed away. He was not a member of MHG, but he himself was an entire planet. “Yes, there were people in our day!” Liudmila Alekseeva among them. We were terribly lucky to have had her as our contemporary and a moral symbol even today, in very different times. Speaking of the present, I want to say thank you to Liudmila Mikhailovna. Thank you in the name of the Russian families and children who find themselves in absolutely unacceptable housing conditions or without housing altogether. Thank you for your statements: “Why children have nowhere to live in the largest country in the world” (April 2015); or “Attempted murder in the middle of Moscow.” “We demand Sobyanin’s immediate resignation” (July 2016) was written in support of ten mothers, the “Moscow queue standers,” who, in despair over their housing conditions, declared an indefinite hunger strike in front of the main reception room of the United Russia party. And for much else in this same spirit. I am grateful to Liudmila Mikhailovna for the fact that she always agreed to hand my or our joint appeals concerning these desperate housing situations personally to the Russian President at their meetings with the Human Rights Council. The reaction to these appeals was positive, as a rule. But here is the paradox: there was zero result. That is, no relief was forthcoming in a single one of the specific instances we raised. For years, not a single truly important system-generating, so to speak, instruction from the Russian President on resolving the housing problem for “low-income citizens” or on overcoming monopolism and cartels in residential construction has been carried out by the Government or law enforcement-security agencies (cf. the attached about this). The “privatization of the state” by the security agencies and the very tragic consequences of this “privatization” have been Russia’s misfortune for the last 100 years, beginning in October 1917. We know the hecatombs of human sacrifices that have resulted from this in the past. We hoped that such a thing would be impossible in the New Russia. But now it is starting all over again, the symbol of which is the criminal way, in April of this year, the top leaders of the Presidential Administration, the FSB [Federal Security Service], and Moscow Oblast turned on the intractable municipal head Aleksandr Shestun and the threat to put him in prison. And he is in prison. Also in prison is Lev Ponomarev, who spoke out actively against the fabrication of criminal cases by security agencies. This threat to Russia’s national security whose duty it is to protect this security seriously disturbed Liudmila Mikhailovna Alekseeva. Dear Liudmila Mikhailovna, I am not saying goodbye. You are still with us! In early December, Russian human rights defence lost two of its bulwarks: Lev Ponomarev for the 16 days his administrative arrest lasted, and Liudmila Alekseeva forever. By decision of the court, Ponomarev, her comrade-in-arms of long standing, could not attend the farewell to Alekseeva, which the president did attend, one of the strangest and most significant stories of the year. Novaya Gazeta special correspondent Iulia Polukhina met with Ponomarev on the day of his release. -- Lev Alexandrovich, what do you think was the real reason rather than the pretext for your arrest? -- There are several factors here. First, I’ve been working hard on the “New Greatness” and “Network” projects. On 28 October, we held a rather childish action with the parents of the young people charged in these cases, specifically, a walk near the FSB [Federal Security Service] building. I have no doubt that the FSB is a vindictive organization. They knew I was one of the action’s organizers. The parents formally made the request, but they were relying on my experience, of course. I was the main organizer of the 16 December action, which was supposed to be aimed against the violence, torture, and impunity in which the law enforcement agencies engage. When the Ukrainian sailors were seized in Kerch, we on the organizing committee decided to devote the action to two theses: no to war and no to tyranny. That is, about Russia’s foreign policy and also its domestic policy. Although there were a fair number of declarants, to a significant extent I was the action’s engine. These gentlemen knew full well that if I was removed from this group, the action would not be successful. In addition, I said that it was being planned for between 10 December and 20 December, and 20 December is the Day of the Chekist. They celebrated the centenary of the VChK [All-Russian Extraordinary Commission] last year, and this, I believe, was a challenge to society. In my view, our FSB is the special service of the new democratic state that arose in 1991. Publicly, though, they say we are continuing the traditions of the VChK and NKVD [People’s Commissariat of Internal Affairs]. FSB Director Bortnikov spoke about this in an interview a year ago. -- Formally, though, the arrest wasn’t connected in any way with the upcoming action or in general with claims against the FSB? In fact, they brought me by force to the Meshchanskoe OVD [District Internal Affairs Department] and filed a report saying I’d violated some law, and I wrote I hadn’t violated anything. Then there was the trial, and they sentenced me to those days. -- The days are over, but are you going to continue to dispute the decision about administrative arrest? -- Of course I am. I’m not a lawyer myself, but Genri Reznik, even if he has been a friend for thirty years, would not take up my defense and risk his reputation if this case were not totally groundless and legally senseless. -- You were in the special detention center with various people. Did you help any of them as a human rights activist? -- When they put me in the cell, there were nearly 12 people on two-tiered bunks, and everyone except for me and one other prisoner smoked so much you could suffocate. When I realized that this was going to be hard, I asked the special detention center employees to move me to a cell with fewer people. Instead, they removed some of the prisoners from mine, left four or five, and asked them to blow their smoke out the small window. At first there was very bad food, but when ONK [Public Oversight Commission] member Babushkin went there on the second day to check up, they started feeding me twice as well. I’m not certain that after I left they’re going to feed the prisoners all right again. All the Moscow special detention centers are serviced by a single OOO [limited liability company] that won the catering bid. After Babushkin’s visit, the food was edible, but obviously wasn’t 250 rubles’ worth, though that was the sum they signed for every day. -- Didn’t your cellmates look askance at you due to that treatment by the administration? -- In my cell I got along easily with everyone, and they quickly understood what human rights activists were and would complain to me about things. There were two Chechens I did manage to save. These two 20-year-old fellows had been caught stealing candy in a store—worth mere kopeks. They were jailed for an administrative offence and were facing a criminal case. They were trying to link the two men and make a criminal group out of them. I asked my lawyer to go to court for them and help. He demolished the entire accusation and the boys were released and went to Chechnya. Right now I’m working on another case of someone from the special detention center, but I can’t talk about it yet. -- Were you counting on being let out to say goodbye to Liudmila Alekseeva? -- If I may, I won’t start with the farewell. It’s important to say how much she and I worked together and how much we accomplished together. We were a tandem, we absolutely were. You couldn’t say she and I always thought in unison, but she would sign my statements, which were often pretty drastic, and her authority helped collect other signatures under them. For instance, there was the open appeal to President Putin. It was entitled, “Make yourself clear, Mr. President.” Its essence was as follows. In the fall of last year, Putin opened a “Wall of Sorrow” on Sakharov Avenue and said quite definitively that we should do everything we can to make sure the tragedy is not repeated. Simultaneously, that interview with Bortnikov comes out. He says that we’re counting the centenary of the glorious organization from the creation of the VChK, we have done a great deal for our Homeland, and though there were minor distortions, we ourselves condemned and overcame them. Now we have turned to the president to clarify whether he thinks Bortnikov is following his line or running counter to it. The appeal was signed by the oldest human rights activists: Alekseeva, Kovalev, Borshchev, Gannushkina, and me. For me it was a very great loss that I did not say farewell to Alekseeva. But I understand why they didn’t let me. What was the farewell procedure? The casket on stage, members of the Moscow Helsinki Group sitting next to it, a free seat in the first row where Putin could sit if he wanted to. In any event, when he entered, he shook hands with one of the MHG members. Imagine if that had been me. Ponomarev and Putin shaking hands and then Ponomarev returning to the special detention center. They’d thought all this through and decided to avoid the embarrassment. -- Please recall for us how you and Alekseeva, two such solitary figures, found yourselves together, in tandem, as you put it. -- In 1996, I decided I would engage in public work and not return to my scholarly activities. At the time, Alekseeva was working in the office of an American labor union but did not feel comfortable there. Together we decided to revive the Moscow Helsinki Group. We held a congress and then by a decision of Yeltsin’s were given an office, and in 1997 the first grants. Later, though, I realized that it was better for us to go our separate ways. MHG is a separate group with its own tradition, and I had begun to create a Russia-wide human rights movement. -- On which cases did you intersect and work together over these years? -- There were many such cases, and not all of them are finished. (For more detail, see “Alekseeva’s list.” -- Iu. P.) But here’s the main thing: together we tried to unite the human rights activists. Together she and I created the Russian Human Rights Council, where we met regularly and worked out common positions, coordinated. She and I stirred up something very important: we said that human rights activists would not register voluntarily as “foreign agents.” At first opinions on this issue were not unanimous. Alekseeva and I convened a conference, and we agreed there at the conference that none of the human rights activists would voluntarily label themselves this way. This was done jointly, through the joint efforts of the Helsinki Group and the movement “For Human Rights.” This was our very important action. -- Now, since Liudmila Mikhailovna’s passing, how do you see your further work? "We must continue to defend the victims of state tyranny and defend without compromise both each other and critics who have been persecuted by the state"
This text is the welcoming address to participants at the congress of the Moscow Helsinki Group. Liudmila Alekseeva managed to finish writing this while in the hospital. Today, on the congress’s opening day, it was read as a farewell speech to human rights activists. 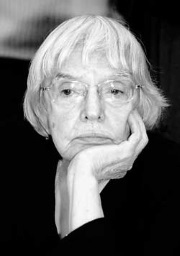 Liudmila Mikhailovna Alekseeva passed away on 8 December, at the age of 91. We are publishing this major text—in fact, her final word. To us all. My dear friends and colleagues! I am very sorry that my health does not allow me to be with you today, a day so very important to us all, as we mark the seventieth anniversary of the Universal Declaration of Human Rights! On this day, we truly do have something to celebrate and contemplate. Seventy years ago, a document of supreme importance was passed, a document that, in resting on the tragic experience of the terrible Second World War, formulated the universal rules for living in common on our planet on the basis of respect for human dignity and human rights. Throughout the intervening decades, we have been working, insofar as we have had the strength and talent, to fill this important declaration with real content, so that it might become a part of our culture and policy, be defended by laws and institutions, and take root in our daily life. This has been a difficult movement, enjoying intermittent success at various speeds, with victories and disappointments, gains and bitter losses. On the whole, looking back, it is worth noting the indisputable progress in the development of international law, the rejection of the colonial system, the gradual rejection of the death penalty, and the global struggle against discrimination and racial prejudices and for equality between men and women and for more and more people on the planet living in conditions of freedom and democracy, and how, despite everything, we have managed to avoid a new global war and on the whole seen a tendency for the intensity of military conflicts to decline. This progress would have been impossible without the active movement of human rights activists and humanists throughout the world! At the same time, you and I must admit that as we move further and further from the lessons of the Second World War, new generations have displayed considerable cynicism and unconcern toward the as yet not very stable system of values and institutions that has been built, as they consistently and more and more and more frequently test their stability. The growth of political populism and nationalism in the context of a migration crisis, the religious conflicts, the renaissance of authoritarian rulers and of slumbering national worldviews in specific parts of the world, and the rejection of international obligations on the part of individual states (including Russia, which we find especially deplorable) threaten all our important but fragile gains of the past and have saddled you with new and difficult tasks. I had sincerely hoped that we would be able to leave behind a more perfect and just world in which there would be no place for the hardships and sufferings that fell to my and previous generations, and as before I still hope for this, unfortunately, though, it is obvious by now that you, too, will know your fair share of difficulties and trials. I only want to believe that your generation will not repeat all our past mistakes and will be able to build upon our few achievements and experience. One of the important problems of the contemporary global movement for human rights is that some of it has been bureaucratized and become an element for maintaining the activities of national governments or intergovernmental organizations (especially in Europe), while some has been actively included in immediate political struggle, thereby limiting the possibility of influencing the worldview of the majority of our fellow citizens, being limited by the fact that we work with a narrow circle of our political allies. This does not mean that I am opposed to working with the authorities or with politicians; this merely speaks to the fact that we need many more people in the movement who are prepared to interact with and spread their values to a wider audience, especially among young people. It seems to me that this is our most important task: to leave behind our conventional “ghetto” of comfortable interaction with like-minded people and narrowly thematic expert work and go to the masses and engage in education on a new level using new approaches, technologies, and people. It is broad human rights and, more broadly, humanistic education that must be one of our most important objectives. We must also do everything in our power to preserve our unity and the good will inside the movement! We may disagree on matters of tactics for achieving stated objectives and in individual opinions, but for the sake of achieving common strategic objectives we must be tolerant toward our disagreements, respect and support one another, and not allow the authorities to goad us into internal wrangling and mutual mistrust. A particular distinguishing trait of the human rights movement was always international solidarity. With the civil society of Belarus, Central Asia, and other countries. Important for us right now are acts of solidarity with human rights activists in Ukraine and especially Crimea. Support for the Crimean Tatar peace movement has always been a distinct objective of the Moscow Helsinki Group and our entire human rights movement. It seems to me that complicated times lie ahead for us. Including in Russia. You and I can see perfectly well just how weak right now are civil society, the rights culture, and democratic institutions in our country. It is naïve to think that our authorities are exclusively to blame for this. Yes, we have truly not been lucky with authorities, but we are also partly to blame for the fact that these authorities can rely on the support of the majority of our fellow citizens by means of simple propaganda and manipulations. We have underestimated their degree of influence, their vulnerable imperial chauvinistic consciousness, and the legacy of our totalitarian past, and we have not always been able to choose the arguments or style and form of interaction with people that will change their minds. Without that ability, even in the event of a change of state to one more in solidarity with our views, we will still depend on the will and views of politicians inclined toward populism and cynicism, who will continue to manipulate society. after all, they are all our fellow citizens and simply human beings, the bearers of human dignity, for whose sake we work and together with whom we must live and create a better world. We must stand in the defense of our convictions and our remaining and constantly narrowing rights and freedoms, and we must stand up against isolationism and the militarization and clericalization of public life while pointing out to the state and society the error of their chosen path. We must not allow the accession of total ideological obscurantism and ensure, even in the hardest circumstances, that an alternative opinion has the chance to exist and be disseminated. Given the mounting political repressions, we must continue to defend the victims of state tyranny and defend without compromise both each other and critics who have been persecuted by the state. I would ask you to convey my warmest words of support to dear Lev Aleksandrovich Ponomarev, and I call on all my colleagues to unite in urgent actions in his defense! We must remember all the other political prisoners and prisoners of conscience and work constantly to achieve their unconditional and immediate release! 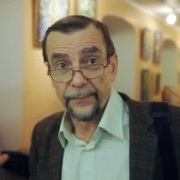 Contemporary Russian officials continue to repeat their predecessors’ mistakes, restricting freedoms in the hope of remaining in power through dictatorial methods but thereby merely aggravating their position and increasing the likelihood of the state’s uncontrollable collapse through resistance in society and, god forbid, violence. It seems to me that we must not be complicit in such a scenario but must, no matter what, patiently explain to the state that it is in its own interests and the interests of the country to replace their chosen course, to ensure free political competition, and to guarantee civil freedoms. We cannot and must not conduct a course of “the worse the better” because that would be worse not only for the authorities but for all of us, and ultimately the way out of this spiral would prove even longer and more difficult. We must appeal to people’s values, historical experience, and common sense. This is very difficult but essential, and if we are convincing, consistent, and firm, success will be on our side without fail. Believe me, I know what I’m talking about. When we began our difficult journey for the defense of human rights, we had far fewer grounds for optimism than we do today, but we believed in the success of our hopeless cause! Today I wish you, with all my heart, just such faith, as well as strength and success! The Plenum of the Supreme Court has proposed equating individual pickets taking place at the same time with unsanctioned rallies. The proposed resolution has not yet been adopted and is being finalized by a special group. According to the draft text of the resolution, organisers of single pickets which take place at the same time should bear administrative responsibility for violating the established procedure for arranging or conducting a rally. (Article 20.2 of the Administrative Code). 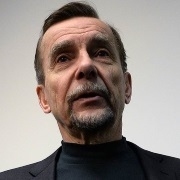 The leader of the movement "For Human Rights", a member of the Moscow Helsinki Group, Lev Ponomarev, has spoken about why the resolution will be adopted without much contention. Law enforcement agencies and the judiciary are a single mechanism, aimed at repressing citizens in the event that they show some kind of activity and act as opponents of the State. Within the confines of the repressive machinery, this decision is completely logical and long expected. The system is increasingly protecting itself from all possibility of dialogue with society. I’ve spent decades in this field and know of not one case where an official was punished for hindering the holding of a rally. Judges always take the side of the authorities in the country, the side of the officials. Courts rarely rule in favour of acquittals. If we look separately at courts that hear cases on unsanctioned rallies, then the level of acquittals will be 0%. If we look at the totality of judicial practice, there may have been ten such cases. In Moscow this never happens. Officials can come up with all sorts of rubbish when looking at the legality of holding a rally. They always manage to stop them. This resolution will be adopted without question and this will reduce the possibility of mass protests. Of course when individual pickets take place en masse they are usually united by a common idea. Now these will be broken up by the police. At the moment, individual pickets are allowed without prior approval in Russia, if the participant does not intend to use a ‘prefabricated collapsible construction’. Participants must be at a certain distance from one another. The distance varies depending on the region but the minimum should not exceed 50 metres. And so, in a little over a month we shall mark 199 years of public oversight of prisons in Russia. Few may be aware that on this date in 1819 the English philanthropist and entrepreneur Walter Venning, with the help of the Russian Empire’s Minister of Education Prince A. N. Golitsyn, established the St Petersburg Society for the Stewardship of Prisons. Three years previously, W. Venning had created a similar organisation, the Society for the Improvement of Prison Discipline, in his native London. Venning arrived in St Petersburg in 1817. He was introduced to Alexander I and, having enlisted his support, visited a number of Russian prisons. Venning’s organisation was concerned not only with charity, but also with the exercise of public oversight of St Petersburg’s prisons. W. Venning compiled a report on the state of prison life in the Empire, which impressed the emperor. “It’s impossible to even think about the terrible consequences of such obscene institutions without disgust: health and morality are forced to perish there, regardless of how brief the confinement,” the report said. The Emperor’s reading of the report led to prisoners being segregated according to the type of crime; violent prisoners separated from non-violent; books appeared in prisons, including those written especially for prisons. One of the outcomes of his reading the report was the establishment of the Society. Emperor Alexander I expressed his condolences when, in 1821, at 40 years old, Walter Venning died from typhus, contracted on one of his visits to prison. Incidentally, John Howard, whose ideas formed the basis of the practices of the London and St Petersburg Societies also died from typhus, also in Russia, but which he contracted in Kherson prison. However, for another thirty years the Societies were managed according to the principles set out by Venning. The establishment of the Society caused a widespread response in the regions: in 1826 there were already seven provincial committees for the public oversight of prisons and another 38 provincial committees were set up over the next ten years. In 1834, the first district branches of the Society were opened in St Petersburg and Vologda. By 1863, in provincial and port cities there were already 64 provincial and regional committees and 431 district branches. The Society’s president was appointed by the Emperor. The first president was Prince Alexander Nikolaevich Golitsyn. In 1824 Golitsyn was replaced by V. S. Trubetskoy, who served in this post for 17 years. The next president was the well-known head of the secret police, Count A. Kh. Benkendorf (1841-1844), after whom the Society was headed by Count Orlov. After that, the president’s role was filled by the minister of internal affairs and justice. The vice president was selected from among the general-governors and bishops. But the members of the Society and its branches were representatives of the nobility, merchants and clergy. To become a member of the Society or one of its branches, you needed to pay what was a considerable sum in those days: from 5 to 15 roubles a year. At the time, this was a lot of money. The members of the Society had the right to apply to the authorities for the improvement of the conditions of detention and treatment of prisoners. However, by the 1840s, not only the provision of charitable assistance to prisoners, but also the organisation of food for prisoners, the provision of medical assistance, the purchase of clothes and shoes for them, and the improvement of places of detention had been brought within the oversight of the Society. The Society was also involved in obtaining the release of prisoners imprisoned for debt by paying what they owed. The Society initiated the creation in 1879 of a single body for the administration of the entire prison system of the Empire – the Chief Prison Administration, to which a number of the Society’s functions were transferred.